The Jews are not Semite at all and they are not Israelite . The Jews are the only antisemitic in the world. 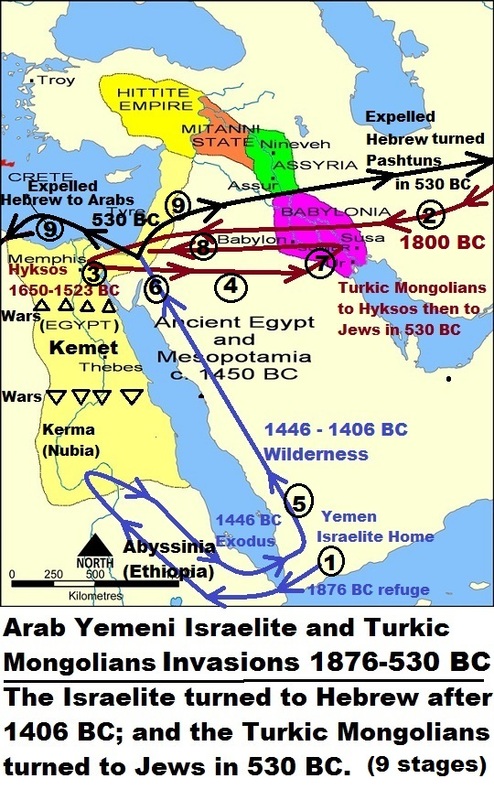 The Jews are Turkic Mongolians invented in 535 BC by the Persians and Neo-Babylonians (who are also Turkic Mongolians). They better invent another hoax term other than Antisemitism to describe the acts of revealing the true origin, history and crimes of the Turkic Mongolians. It is not the Jews alone. The Turkic Mongolians include: 1- Jews, 2- Persians, 3- Turks, 4- Romans, 5- rulers of Arabia, 6- Caucasoid Indians, and all 7- fake “Whitened” non-European Christians. It is absurd how Turkic Mongolian savage barbarians with no civilization whatsoever created such stupid fake history since 1400 BC and it still survives.